MALACHI HAIM HACOHEN (Ph.D., Columbia), Bass Fellow and Professor of History, Political Science and Religion, is Director of the Religions and Public Life Initiative at the Kenan Institute for Ethics, and member of the faculties of Slavic and Eurasian, German and Jewish Studies. He teaches intellectual history and Jewish European history. He previously taught at Columbia University, New York University, and Reed College. His research interests focus on Central Europe and include social theory, political philosophy, and rabbinic culture – Midrash to Kabbalah to halakhic responsa. Hacohen writes on the Central European Jewish intelligentsia, on nation state vs. empire in Jewish European history, and on Jewish–Christian relations. He has paid special attention to science and culture in Vienna, to the international networks of European Jewish émigrés, and to trans-Atlantic Cold War liberalism. His Jewish European history is both traditionally Jewish and cosmopolitan European. Hacohen's Karl Popper - The Formative Years, 1902-1945 (New York: Cambridge University Press, 2000) has won the Herbert Baxter Adams Prize of the AHA and the Victor Adler- Staatspreis (Austrian state-prize). He has published essays in the leading journals of European and Jewish history and in several important collections. His Jacob & Esau: Jewish European History Between Nation and Empire is forthcoming from Cambridge University Press in June 2018. Jacob & Esau is a profound new account of two millennia of Jewish European history which, for the first time, integrates the cosmopolitan narrative of the Jewish intelligentsia with that of traditional Jews and Jewish culture. The book uses the biblical story of the rival twins, Jacob and Esau, and its subsequent retelling by Christians and Jews through the ages as lens through which to illuminate changing Jewish–Christian relations and the opening and closing of opportunities for Jewish life in Europe. Jacob & Esau tells a new history of a people accustomed for over two-and-a-half millennia to forming relationships, real and imagined, with successive empires but eagerly adapting, in modernity, to the nation-state, and experimenting with both assimilation and Jewish nationalism. In rewriting this history via Jacob and Esau, the book charts two divergent but intersecting Jewish histories that together represent the plurality of Jewish European cultures. Hacohen has been a recipient of the Frederick Burkhardt Fellowship from the ACLS, as well as of Fulbright, Mellon, and Whiting fellowships and a number of teaching awards. He was a fellow at the Oxford Centre for Hebrew and Jewish Studies in 2016-17, the Center for Advanced Studies in the Behavioral Sciences in Palo Alto in 2006-07, the National Humanities Center in 2002-03, and the IFK (Internationales Forschungszentrum Kulturwissenschaften) in Vienna in 2001. He is a coordinator of the Triangle Intellectual History Seminar (Duke, NCSU, UNC, and Wake Forest University) and the North Carolina Jewish Studies Seminar. He has served on the editorial board of several professional journals, as well as on the international board of the House of History – Austria, the Vienna International Summer University, the IFK, and the Adler and Vogelsang Austrian State Prize jury. Most recently, he has led an international research initiative on Empire, Socialism and Jews, with a series of conferences in Vienna and Duke University. MALMALACHI HAIM HACOHEN (Ph.D., Columbia), Bass Fellow and Associate Professor of History, Political Science and Religion, is Director of the Religions and Public Life Initiative at the Kenan Institute for Ethics, and member of the faculty of Slavic and Eurasian, German and Jewish Studies. He is an intellectual historian and teaches Jewish European history. 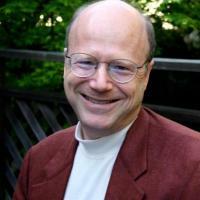 He previously taught at Columbia University, New York University, and Reed College. His research interests focus on Central Europe and include social theory, political philosophy, and rabbinic culture – Midrash to Kabbalah to halakhic responsa. Hacohen writes on the Central European Jewish intelligentsia, on nation state vs. empire in Jewish European history, and on Jewish–Christian relations. He has paid special attention to science and culture in Vienna, to international networks of European Jewish émigrés who shaped global destiny, and to trans-Atlantic Cold War liberalism. His Jewish European history is both cosmopolitan European and traditionally Jewish. Hacohen's Karl Popper - The Formative Years, 1902-1945 (New York: Cambridge University Press, 2000) has won the Herbert Baxter Adams Prize of the AHA and the Victor Adler- Staatspreis (Austrian state-prize). He has published essays in the leading journals of European and Jewish history and several important collections. His Jacob & Esau: Jewish European History Between Nation and Empire is forthcoming from Cambridge University Press in June 2018. Jacob & Esau is a profound new account of two millennia of Jewish European history which, for the first time, integrates the cosmopolitan narrative of the Jewish intelligentsia with that of traditional Jews and Jewish culture. The book uses the biblical story of the rival twins, Jacob and Esau, and its subsequent retelling by Christians and Jews through the ages as lens through which to illuminate changing Jewish–Christian relations and the opening and closing of opportunities for Jewish life in Europe. Jacob & Esau tells a new history of a people accustomed for over two-and-a-half millennia to forming relationships, real and imagined, with successive empires but eagerly adapting, in modernity, to the nation-state, and experimenting with both assimilation and Jewish nationalism. In rewriting this history via Jacob and Esau, the book charts two divergent but intersecting Jewish histories that together represent the plurality of Jewish European cultures. Hacohen has been a recipient of the Frederick Burkhardt Fellowship from the ACLS, as well as of Fulbright, Mellon, and Whiting fellowships and a number of teaching awards. He was a fellow at the Oxford Centre for Hebrew and Jewish Studies in 2016-17, the Center for Advanced Studies in the Behavioral Sciences in Palo Alto in 2006-07, at the National Humanities Center in 2002-03 and at the IFK (Internationales Forschungszentrum Kulturwissenschaften) in Vienna in 2001. He is a coordinator of the Triangle Intellectual History Seminar (Duke, NCSU at Raleigh, UNC at Chapel Hill and Wake Forest University) and the North Carolina Jewish Studies Seminar, and he has served on the editorial board of several professional journals, as well as on the international board of the House of History – Austria, the Vienna International Summer University, the IFK, and the jury for the Adler and Vogelsang Austrian State Prizes. Most recently, he has led an international research initiative on Empire, Socialism and Jews, with a series of conferences in Vienna and Duke University.